1. It’s all about concept design. Innovative conceptual design is the core of any successful product. SOLIDWORKS Mechanical Conceptual, powered by Dassault Systèmes 3DEXPERIENCE Platform, removes the constraints of traditional structured design programs with a flexible, intuitive, powerful modeling environment that turns every challenge of conceptual design into your business advantage. SOLIDWORKS Mechanical Conceptual enables designers to rapidly create, innovate, and collaborate during the concept design phase. The solution delivers a truly collaborative design environment that enables design teams, customers, and suppliers to communicate, collaborate, and develop products whenever they want and where ever they are located. Marrying the best in class technologies from Dassault Systèmes with SOLIDWORKS familiar ease of use, SOLIDWORKS Mechanical Conceptual gives design teams unsurpassed flexibility and intuitive workflows to create models with true lifelike behaviors to understand how products will behave in the real world. 2. Using the cloud accelerates concept design. SOLIDWORKS Mechanical Conceptual is more than just CAD software, it uses online tools, ‘the cloud’ and services to accelerate the concept design process. These online tools deliver transparent data management, online collaborative spaces and project communities. With SOLIDWORKS Mechanical Conceptual “transparent” means that the design data management is “invisible” to the user—operating in the background ensuring the design is safe and secure. With the data stored on the cloud as opposed to a shared network drive the data can easily be accessed 24hrs a day from anywhere with an internet connection. 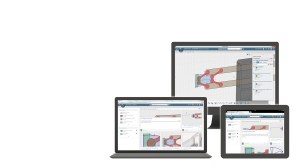 SOLIDWORKS Mechanical Conceptual users are connected to a common platform allowing for collaboration through 3D instant messaging or by accessing the same products in a shared collaborative space. You don’t have to be a user of SOLIDWORKS Mechanical Conceptual to participant and collaborate on a design project. By setting up an online SwYm community users can invite colleagues, suppliers and customers to collaborate. For the first release, hosting is only available via our Dassault Systemes cloud infrastructure. Hosting on a private cloud behind your company’s firewall is not possible with this release, but may be in the future. We will deliver an on-premesis version in the future. SOLIDWORKS Mechanical Conceptual has been designed from the outset to solve the complex problems associated with concept design with a flexible modeling environment. Today many companies can and do use SOLIDWORKS as a concept design tool, but the constraints imposed by using design software configured to produce high quality production geometry and drawings can slow the concept design process. Companies that create many concept designs, who have to incorporate input from multiple internal and external sources will benefit greatly by using SOLIDWORKS Mechanical Conceptual. 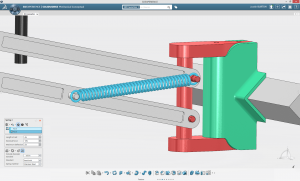 SOLIDWORKS Mechanical Conceptual is part of the 3DEXPERIENCE Platform from Dassault Systèmes. This new design platform allows users to access a wide range of Dassault Systèmes tools easily and simply within a single user experience. 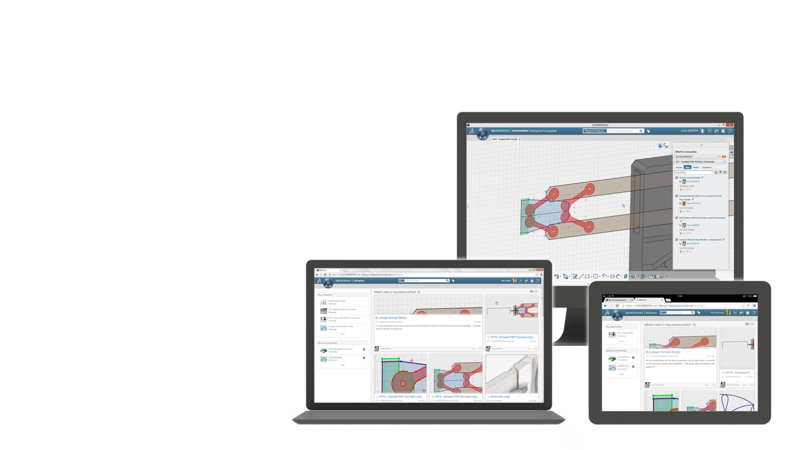 The 3DEXPERIENCE Platform enables customers to design their products, virtually test them, create the manufacturing data, and communicate the technical information all within a single environment in one common format. SOLIDWORKS Mechanical Conceptual is aimed at design professionals and teams in the industrial machinery sector; specifically those who are involved in Concept Machine Design. The requirements and workflows for concept design are different to those requirements for production drawing. Concept design requires tools that enable designers to rapidly create, innovate, and collaborate. Production design requires detailing tools, manufacturing specific modelling and design release controls. SOLIDWORKS Mechanical Conceptual is complementary to the existing SolidWorks tools and solves design problems in a new and innovative way. SOLIDWORKS Standard, SolidWorks Professional and SOLIDWORKS Premium will continue to be developed and enhanced. SolidWorks 2014 included over 200 enhancements which we believe will deliver significant user benefits. Just as “no man is an island”, no designer works in a vacuum. Today design is a social task, even if it is not recognized as one. Design meetings design reviews are ‘social collaboration’. 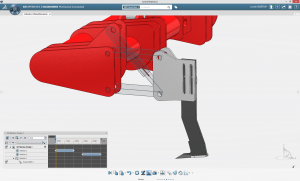 SOLIDWORKS Mechanical Conceptual uses familiar social collaboration tools in an interactive environment to harness the collective intelligence of your company, customers, and vendors. By creating online communities you can assemble the complete design story in one location capturing design requirements, concepts, and decisions from all key stakeholders, capturing the collective intelligence of your entire community to improve your design. A license of Mechanical Conceptual is less than a license of SolidWorks Premium. The suggested retail price is $2,988 / €2,988 / £2307 per year. Selected value added resellers in North America and Europe will begin taking orders for SolidWorks Mechanical Conceptual in early April. Availability for customers in other parts of the world will be announced later in the year. You can learn more about SolidWorks Mechanical Conceptual on the SolidWorks website.